control over what their children see. Facebook normally requires users to be at least 13 years old. The new app gives it a chance to win brand loyalty from younger children at a time when it faces competition for teenagers from other social media platforms such as Snapchat. There already are a handful of other apps that children can use with parental consent, and kids can communicate with each other using texting on cellpones. Facebook said research showed young children were already using technology on a regular basis - but on apps built for teens and adults, raising concern among parents that their children might be communicating with strangers. At the same time, parents were willing to let their children aged 6 to 12 use social media as long as there was strict parental control. 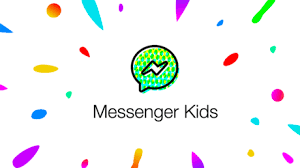 Facebook Messenger Kids requires parents to set up an account and approve their children’s contacts. The stand-alone app on children’s devices can be controlled by a parent’s Facebook account that will allow kids to use video chat and send photos, videos or text messages to friends approved by their parents. Monday’s unveiling was billed as a preview because so far it is only available in the United States and only on iOS, or Apple operating systems. The app was 18 months in development, Svensson said.